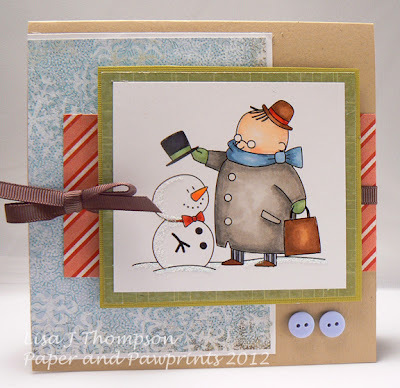 Lisa created a cute card using a November free digi. I love the layout and neat design. :) The tiny buttons are so cute! Thank you to Lisa for sharing! Please visit her blog to leave a comment for her. very cute love the colors and coloring on the image..